When is certification less important? 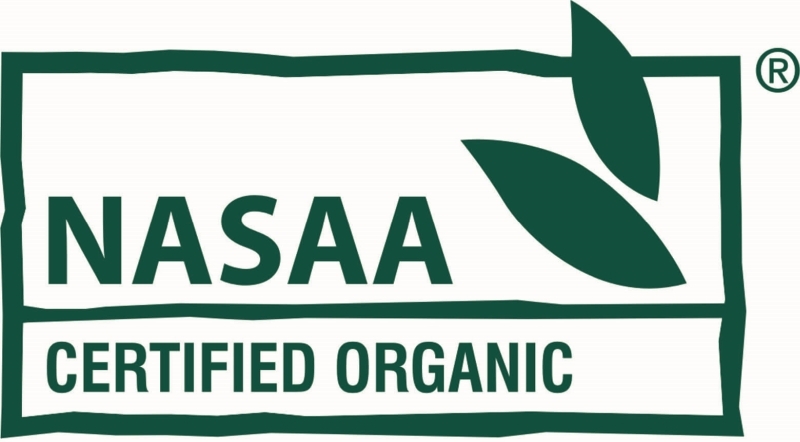 A food product is Certified Organic if and only if it has been certified as such by one of the 7 certifying bodies in Australia, the most prominent of which are Australian Certified Organic (ACO) and NASAA Certified Organic (NCO). If certified, it will have the logo of the certifying body on its packaging. There are around 2,600 Certified Organic businesses in Australia1, of which two-thirds are primary producers and one-third are secondary producers. Between 2009 and 2014, the Certified Organic industry grew by 15% pa2. Although the 7 certifying bodies are separate organisations, they are all effectively certifying to the same Government-driven set of standards. These are called National Standard for Organic and Bio-Dynamic Produce and there are 68 pages of them. The latest edition is v3.7, September 2016 and it is available online. If you have never read the standards, you may be surprised by how comprehensive (and readable) they are. For example, for livestock, they have sections on breeding, nutrition, medications, welfare, housing and handling. The table below provides a summary of some of the underlying principles. At least some non-cultivated areas. Soil fertility must be maintained or increased over time. Maintenance/improvements using organic materials (soil conditioning, fertilising, etc). Specific mineral fertilisers allowed, but only as a supplement. Includes phosphate (e.g. HPO4) and potash (e.g. K2SO4) but nothing containing Nitrogen (because of its triple bonding, it is too unreactive to form any minerals). List of permitted fertilisers and soil conditioners. Have to be grown in soil. List of permitted materials for pest and disease control. Nutrition: organic feed in line with natural diet. Diseases: no habitual antibiotics, etc. Welfare: free-range in line with natural habitat. Breeding: limitations on breeding techniques. Various standards re transport, storage, preparation, packaging, preservation and additives. To answer this question, we first need to address another question, namely what does the word ‘organic’ mean? In some countries (e.g. throughout the European Union), the word ‘organic’, when applied to food labelling, has a legal definition and can only be used for products which meet that legal definition. In Australia, however, there is no such legal restriction and anyone can effectively label their food products ‘organic’. The Oxford English dictionary’s first definition of the word ‘organic’ is “relating to or derived from living matter“. This is the definition that many of us grew up with whilst at school: the world of chemistry divides into the organic (involving Carbon) and the inorganic (not involving Carbon). So, for example, petrol is organic by this definition, as are plastics. The dictionary’s second definition is “(of food or farming methods) produced or involving production without the use of chemical fertilisers, pesticides, or other artificial chemicals“. This definition is clearly related to the standards for organic certification, although it is much simpler and less wide ranging. In terms of food, these two definitions effectively represent the opposite ends of a spectrum. According to the first definition, all food is ‘organic’. According to the second definition, there is a subset of food which is ‘organic’, namely food grown without chemical fertilisers, pesticides, etc, as opposed to food which is ‘conventionally grown’. So, if a particular food product is labelled “100% organic”, what does this mean? Well, it could possibly mean that the product is Certified Organic, using ‘organic’ as a shorthand for this; this would seem bizarre, given that it is under selling the product, but some food producers seem to do it. Or, it could mean that the food is just food and the word ‘organic’ is being used as an adjective to make it sound good without it actually meaning anything. Or (perhaps most likely), it could mean that the food is made out of Certified Organic ingredients but that the product itself is not Certified Organic. Putting all this another way: the word ‘organic’, when applied to food, provides no guarantees of anything meaningful, let alone anything legal. 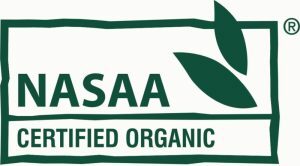 And, that, of course, is why certification is important: certification is a guarantee and the term ‘Certified Organic’ has a single, clear and well-defined meaning. It is perfectly possible to only eat Certified Organic food. But few of us do so, if only because we grow some of our own food. And there is the clue about when certification is less important: we are comfortable eating food that we have grown ourselves because we know that nothing has been done to it that discomforts us. By extension, if we knew how a particular farmer grew their fruit and veggies, we might be comfortable eating their produce regardless of their certification. Ditto if we knew what ingredients a particular maker used. Putting this another way, ‘trust’ can be an alternative to ‘certification’. But trust has to be gained. And the obvious way of gaining trust is through familiarity and discussion. And (in passing) one obvious vehicle for such discussions is farmers’ markets. All of this is important in the context of local food because, at least in North East Melbourne, not many food producers are organically certified. But some of the local farmers argue that their practices are in line with the certification standards. And some of the local makers say that their products only use Certified Organic ingredients. Urea is excreted by animals as their main way of getting rid of unwanted Nitrogen. It is widely agreed to be an effective way of providing Nitrogen to plants. So, urea excreted by animals is used in organic farming as a fertiliser (indeed, the only organic source of high N fertiliser?). But, in 1828, it was discovered that urea is actually a simple, pure, organic compound (NH2CONH2). In passing, this was the death knell for ‘vitalism’. And, in 1909, it was discovered that it could easily be manufactured in large amounts (N2 + 3H2 => 2NH3 then 2NH3 + CO2 => NH2CONH2 + H2O). So, manufactured urea became a very common fertiliser. Excreted urea and manufactured urea are identical products. But, whilst urea produced by animals is permitted in organic farming, urea produced by factories is banned. 1. Australian Organic Market Report 2014. 3. Per Wikipedia, 500 is a humus mixture prepared by filling the horn of a cow with cow manure and burying it in the ground (40–60cm below the surface) in the autumn. It is then left to decompose during the winter and recovered for use the following spring. 4. Per Wikipedia, 501 is crushed powdered quartz prepared by stuffing it into a horn of a cow and burying the horn into the ground in spring and taking it out in autumn. It can be mixed with 500 but is usually prepared on its own (mixture of 1 tablespoon of quartz powder to 250 litres of water).